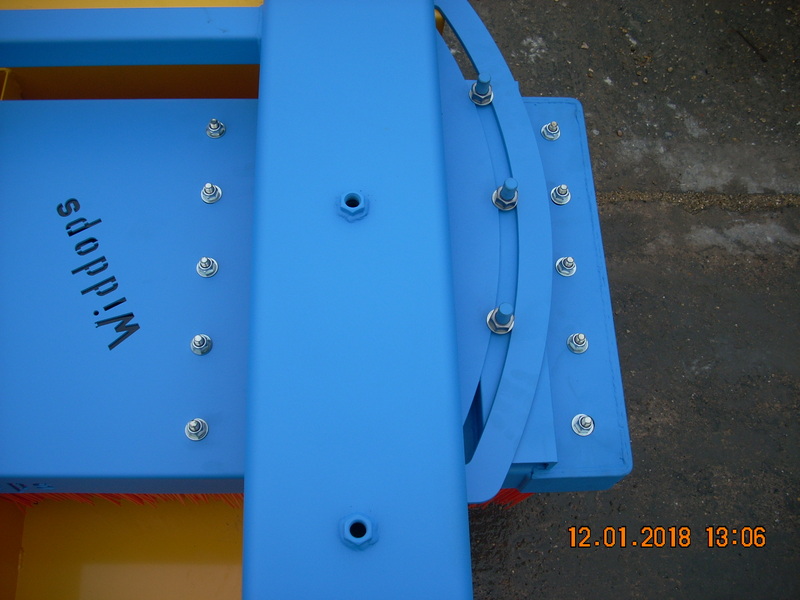 Over the years, a number of our customers have told us they were disappointed with the low-quality forklift attachment yard sweepers they’ve had to use. So we developed our own! 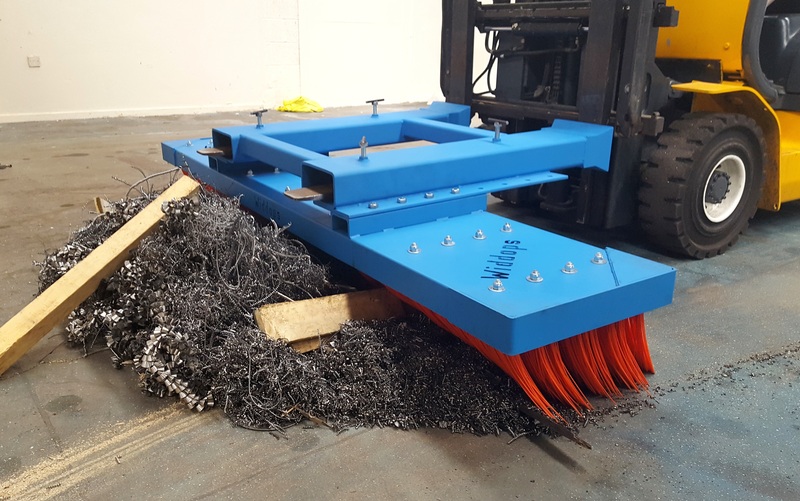 Our new FLB yard sweeper is a heavy-duty steel unit with fully reinforced outer edges & corners; designed for the demanding industrial yards of the UK, where a clean work-space is essential for a safe working environment and scrapes & bashes are commonplace. 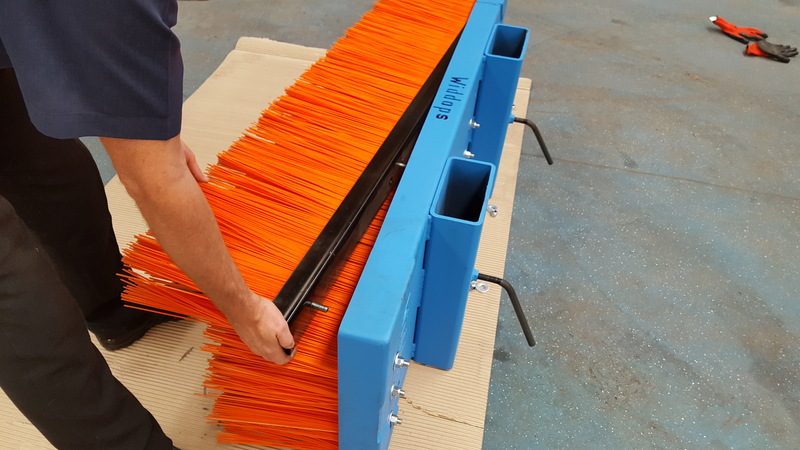 Guaranteed to last longer than any other forklift brush unit, our design and fabrication teams created the brush with the needs of our customers firmly in mind. 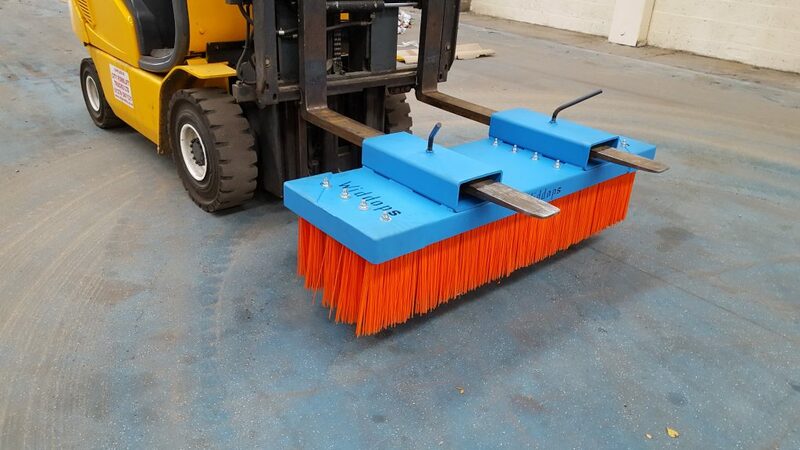 Our FLB forklift attachment brush sweeper allows you to clean your factory floor, warehouse or loading dock with ease. 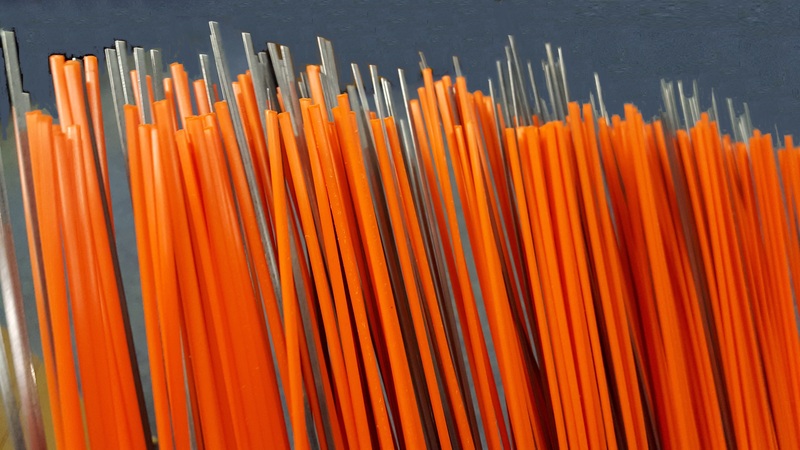 Our product is built to last at least three times longer than any other sweeper available in the UK. With unbeatable quality, value and durability, and manufactured in house by our engineers, you won’t find a better forklift sweeper. 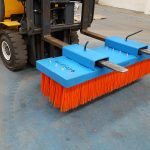 Produced as a reinforced, robust, and cost-effective unit that can stand the test of time, the FLB forklift attachment can take all of the day-to-day abuse suffered by an industrial yard sweeper in its stride. 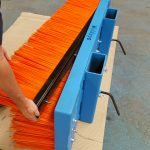 This quick and easy solution for tidying floor space allows for a large surface area of sweeping without any side spillage. 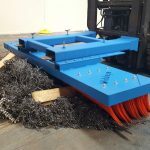 Our forklift sweeper attachment is designed to handle any material your company deals with, so if it’s building debris, weather conditions like snow or mud, scrap metal and recycled scrap, or all of them combined, the heavy-duty filaments can sweep them up without any trouble. Built to perform consistently over time, while remaining quick and easy to operate, our yard sweeper is created from some of the most durable industry materials available. 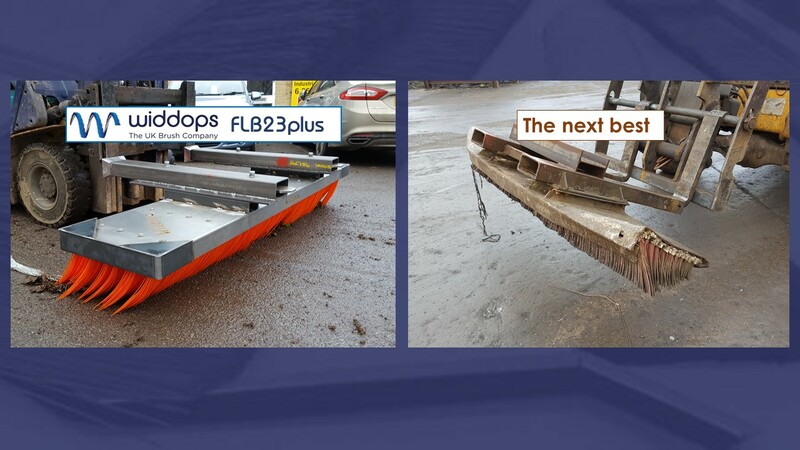 The quality of the sweep attachment makes the FLB a forklift brush unit with long-term savings, as it requires less maintenance and repair costs compared to the industry-standard attachments on the market. 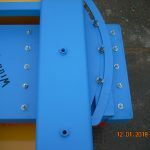 The forklift sweeper attachment is manufactured to order in the UK using 3mm steel throughout with select 6mm reinforcements before being powder coated blue and is available in three sizes as standard in basic or plus or custom models. 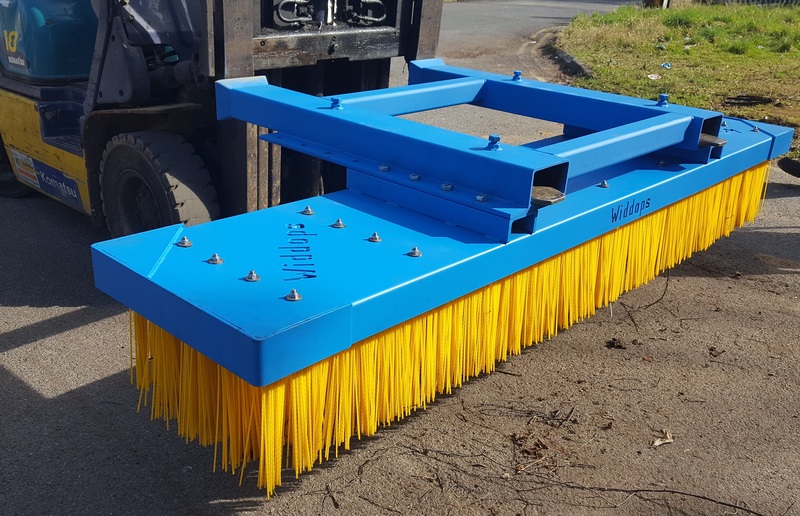 With plenty of options such as the 2.3mtr maxi to the smaller-scale 1.5mtr mini, with extended fork-sleeves or swivel function options available we can provide the perfect solution for clearing most large yards of waste, scrap and heavy debris. With our interchangeable brush cartridges, we offer only the best quality to our customers. 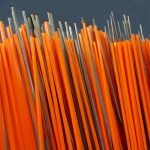 Our standard brush filament is sold as crimped polypropylene but we also have a diverse choice of many other heavy duty filaments and combinations, making ours the most hard wearing and effective brush sweeper on the market. Replacement cartridges are also available. 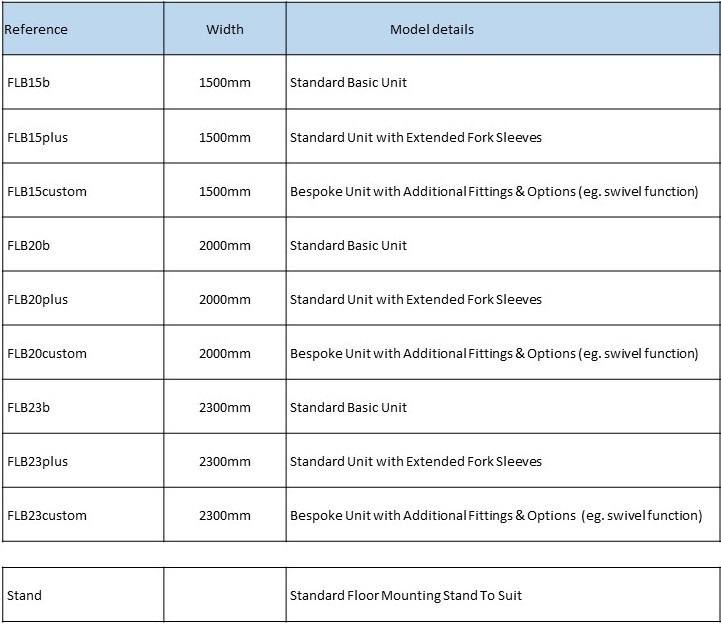 For the different sizes and options we offer, take a look at the table below. 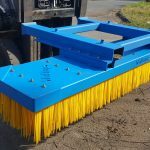 Utilizing 5 of our interchangeable brush cartridges; these units use only the best in a diverse choice of heavy duty filaments and combinations to be the most hard wearing and effective brush sweeper on the market, with replacement cartridges available.